Mathea Falco President of Drug Strategies, a nonprofit research institute based in Washington, D.C., which she created in 1993 with the support of major foundations. She is currently a Visiting Scholar at the Center for International Criminal Justice at the Harvard Law School. The author of The Making of a Drug-Free America: Programs That Work (Times Books 1994) and numerous articles, Ms. Falco was Associate Professor at the Weill Cornell Medical College Department of Public Health in New York from 2003-2010. From 2005-2007, Ms. Falco was a Fellow at Harvard University’s Weatherhead Center for International Affairs. From 1977 to 1981, Ms. Falco was U.S. Assistant Secretary of State for International Narcotics Matters and head of the U.S. delegation to the U.N. Commission on Narcotic Drugs. In earlier positions, she was Chief Counsel and Staff Director of the U.S. Senate Judiciary Committee, Juvenile Delinquency Subcommittee, and Special Assistant to the President of the Drug Abuse Council. A graduate of Radcliffe College and Yale Law School, Ms. Falco has served on the Board of Overseers of Harvard University, the Board of Trustees of Radcliffe College, and as Chair of the Visiting Committee on Harvard University Health Services. She also has served on the national boards of Girl Scouts, USA; Big Brothers of America; the International Women’s Health Coalition; the International Center for Research on Women; the Ploughshares Fund; the National Council on Crime and Delinquency, the Treatment Research Institute, and the Richard and Rhoda Goldman Fund. 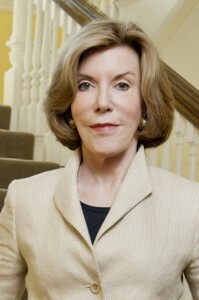 She is a member of the Council on Foreign Relations as well as a member of the American Academy of Arts and Sciences.